Formerly called 'Requests'. Creating and responding to suggestions to flag and fill gaps in your team's knowledge base. A list of your team's open suggestions can be found under the 'Suggestions' menu item from the hamburger menu on the top left corner of your screen. You'll see a number next to your name, which shows how many suggestions in the queue are assigned to you (if any). This article covers adding and answering the first type of suggestion described above: New Suggestions. 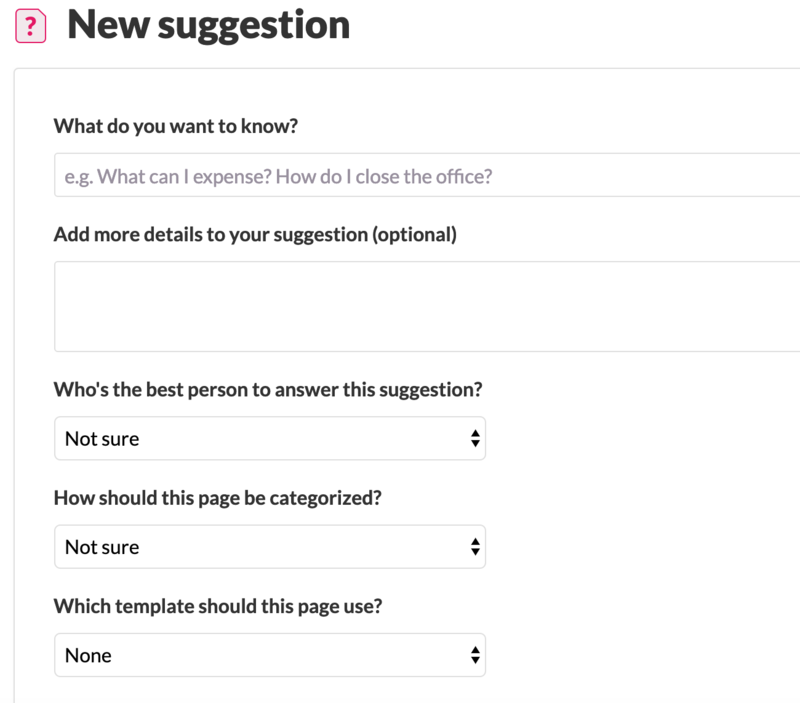 You can assign the suggestion to a specific team member. If you know who the resident expert on the subject is, assign it directly to them. It will then mention that teammate in the Slack notification that's sent out. If you don't have a specific teammate in mind, you can leave that field as 'Not sure'. This will automatically assign the suggestion to the author of the page. At Tettra, we also create suggestions for ourselves as a reminder or 'todo' to write about something later. If you already know what category the page belongs in you can select that as well. If you've set up notifications for each category it will then send a notification to the corresponding Slack channel. 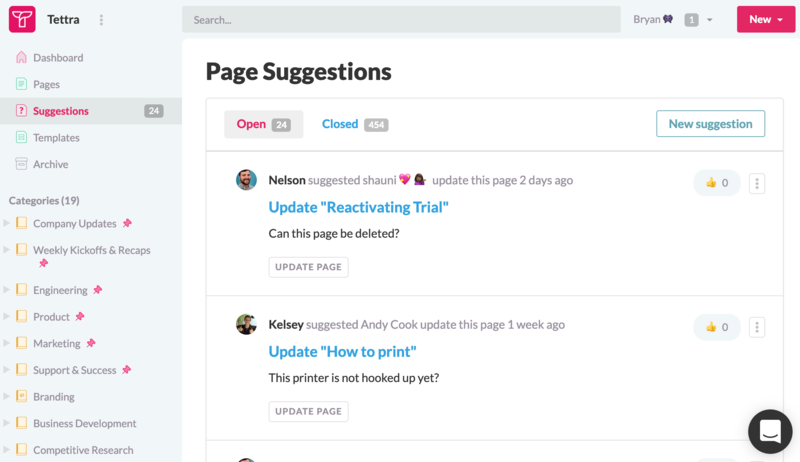 Each suggestion has a detail view that allows commenting, so team members can have a conversation on what information needs to be added. Team members can also 'upvote' the suggestion by clicking the thumbs-up button, to see which suggestions are most popular and should be answered first. To respond to a suggestion, you can click the 'Create page' button. It will launch you right into a new draft of that page and will carry over the page title from the original request. Once you publish that page it will automatically be linked from the detail view. You can select an existing page if you know the answer is already documented. You can also close the suggestion with a comment if the answer only needs a quick reply a not an entire new page. All suggestions and their comments are fully searchable via the search bar at top of every Tettra page, so the next person looking for that info will be able to find that comment. The best way to created a suggestion in slack is with message actions. 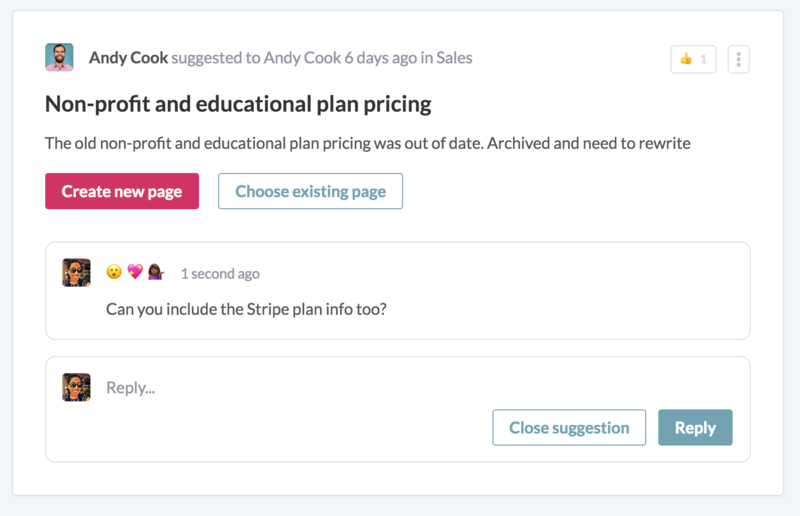 You can also create suggestions within Slack conversations using a slash command. 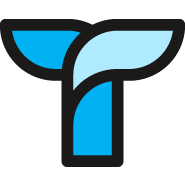 Just type in /tettra request @[slack username] [title] . Find more information on using slash commands in Slack for search, requests and to create pages here.